Solar incentives provide system owners with low-cost power solutions with predictable returns, but this is still a long-term investment. As a system owner, you want your system to produce at maximum performance for 20+ years. The choice of equipment deployed directly affects your investment’s length of return and the lifetime of your system. Research and evaluate industry technology for the selection of system components, including modules, inverters, racking and balance of system. Vital to the system engineering process, all components are analyzed and tested for functionality, efficiency, durability and longevity. Utilize a continual cross-functional approach to quality control to ensure all projects are implemented seamlessly and of the highest quality. All key personnel in product management, engineering, operations management, electrical, field operations, as well as sales and marketing, continually collaborate to employ process improvements that will ensure the highest performance of all systems commissioned. 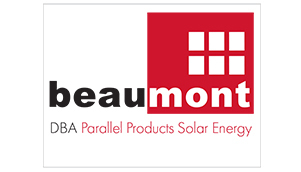 Through these combined efforts, Beaumont Solar strives to reduce the cost of electricity and costs of system deployment to our customers.